You never know what you’ll find at a local flea market, garage sale, antique store, or even online to make going vintage in your apartment decor a fun experience. 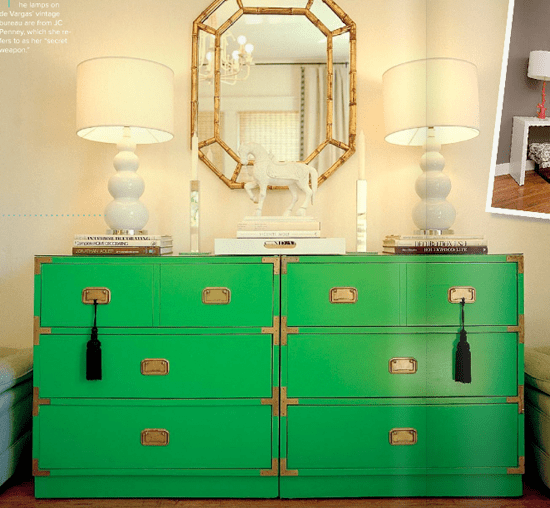 I came across this cute chest of drawers and found the coolest DIY article on how Jenny Komenda Interiors refinished a less than grand find on Craig’s list and turned it into this cool green dresser. 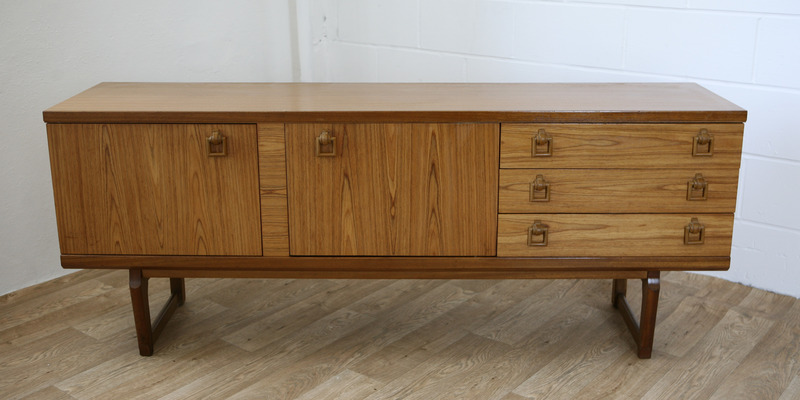 Cool sideboard with vintage appeal. Found here. Ah, Grandma’s kitchen. 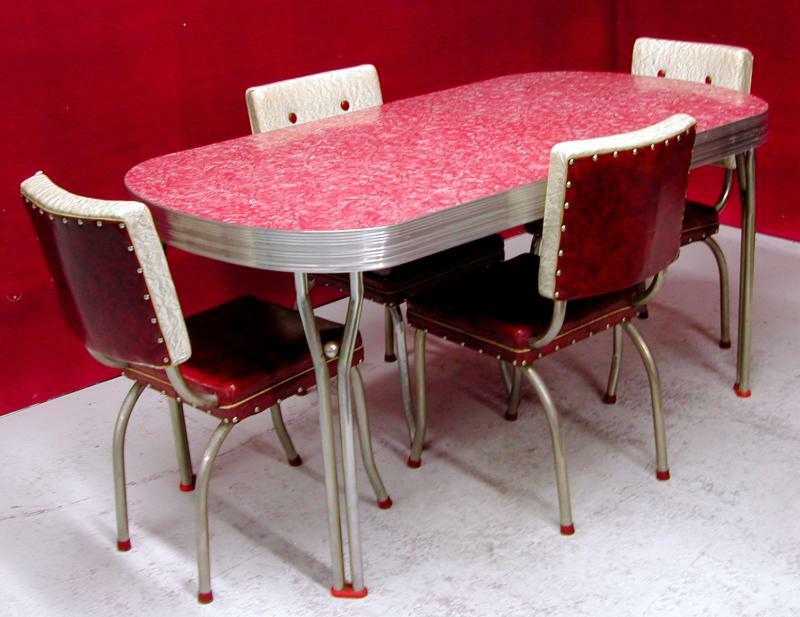 Love the 1950s style table and chairs. This color is so cool. Found at Bright’s Antique World. 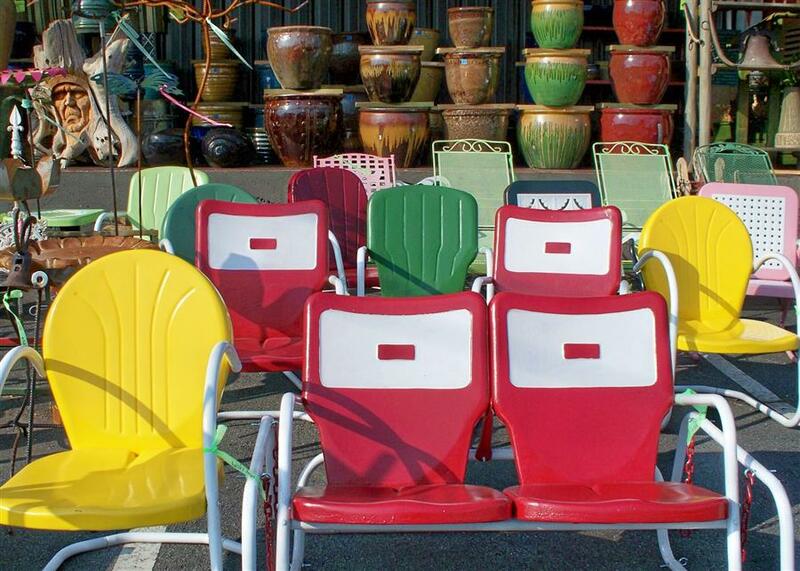 Not to forget your vintage look on the patio, so in style now. Find it here. This entry was posted in Vintage and tagged apartments, decor, decorating, design, flea market, furniture, going vintage, home, interior design, interiors, living spaces, style, vintage, vintage appeal. Bookmark the permalink. love that top dresser–hoping to do this myself soon!